The Horizons Foodservice Review of the Year 2012 is predicting that the industry will experience continued decline and squeezed margins in 2012 following a difficult 2010 and 2011. The report, compiled by foodservice expert Peter Backman, uses past industry data to predict the outlook for the ?out of home? market. The report suggests that whilst the flexibility of the industry means the outlook is not nearly as bleak as that of other sectors, the foodservice market will continue to be hit in 2012 with an overall expectation of negative growth. It also forecasts a continued decline in consumer confidence. However, the report suggests that innovations in discounting and cost control teamed with more discounting can help operators combat this decline. 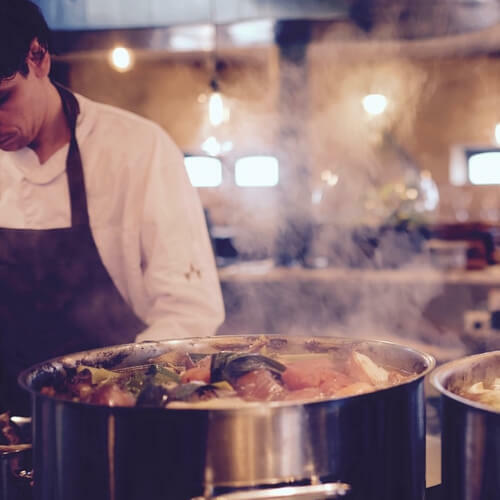 With consumers looking to spend less on eating out and the cost sector suffering at the hands of government cuts, the pressure is on for foodservice operators to reign in expenditure to combat what is predicted to be a difficult 2012. But the outlook is not all doom and gloom for the out of home sector. The flexible nature of the foodservice industry to try new discounting techniques and protect the all-important bottom line has somewhat protected itself from the brunt of the economic downturn and taking the right actions now can ensure this continues. Marketing options including PR and communications activities and discounting, using voucher outlets such as Groupon and LivingSocial can help generate increased footfall for the industry.